Lovey ashtray from the Starward. These would have been easy free souvenirs for passengers … and also probably available in the gift shop. The Starward was one of the four little NCL ships that did so well … Knut was looking for added capacity and decided to purchase the SS France and restyle her as the SS Norway! 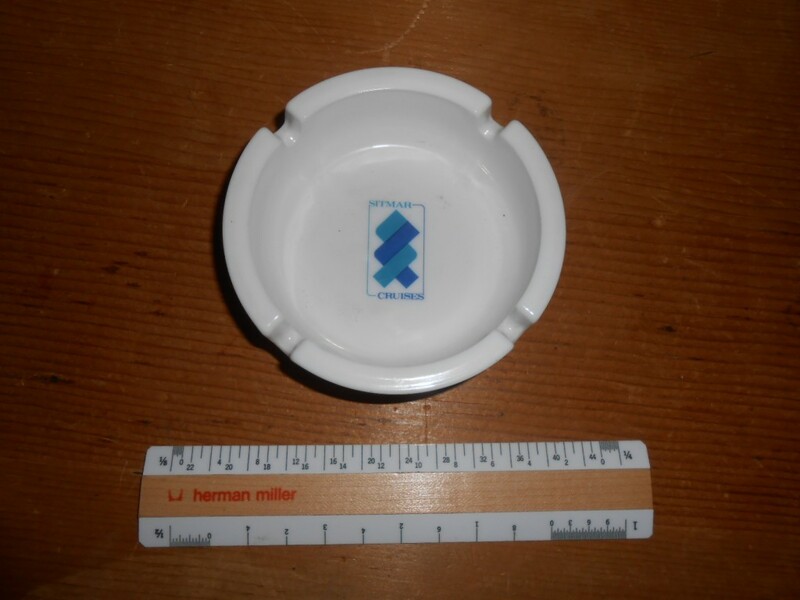 A Great little ashtray in perfect shape. 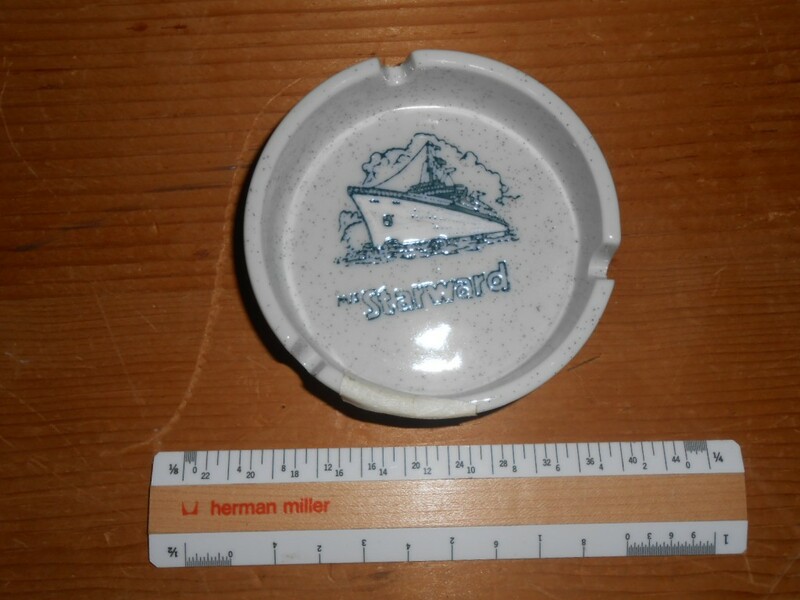 Lovey ashtray from one of the lovely Sitmar “V” ships. These would have been easy free souvenirs for passengers … and also probably available in the gift shop. A nice additional to any collection. Excellent souvenir portrait plate for the Adventurer! She and her Ambassador sister ship where early 70’s adds to the Cunard fleet …when it seemed that smaller more intimate ships in the 650 foot range were the economic “sweet spot” for cruise ships. That trend sure does not ring true today in the era of the Mega box 4000 passenger plus giants that are floating around. The broadside portrait of the ship is lovely…with her “E2”esque funnel. The plate is in as new condition. Just outstanding playing card set up … probably from either the Sea or Island Venture. 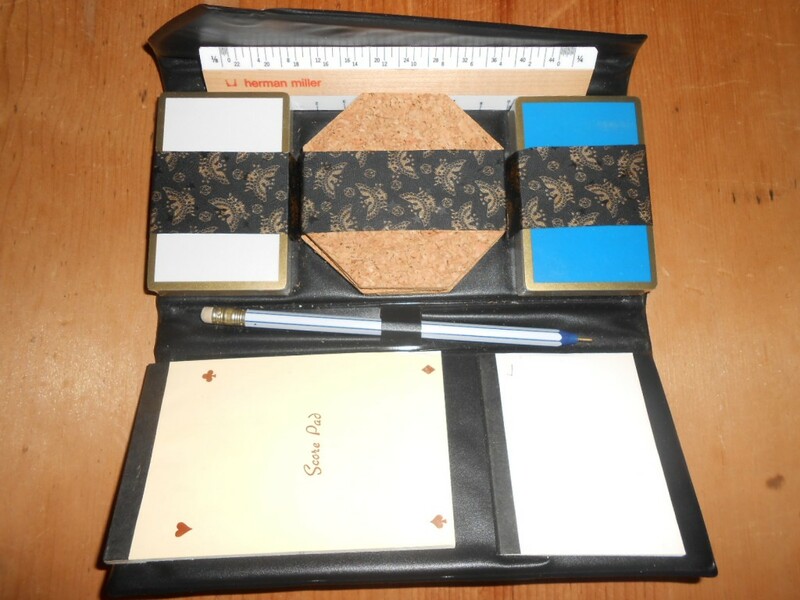 The padded cae has the flagship logo on the front stamped in gold.. and the inside is a card players dream ..2 sets of cards, notepad, pen, scorepad and Drink coasters! Ready and waitng for your poker or other game playing pleasure! Mint mint mint! A pristine little wine list from the Cunard line. The little list has hard covers and is spiral bound …contains 14 double sided tabbed pages from champagne to cider and ales. 2 other tabbed pages list cigars, cards and other amenities. The remaining 10 + pages include adverts for spirits and cigs! The lovely “American” lady that started her life as the Kenya Castle and made most voyages from England to Africa. The Greeks bought her and gave her some updating and successfully put her into the American cruise market. 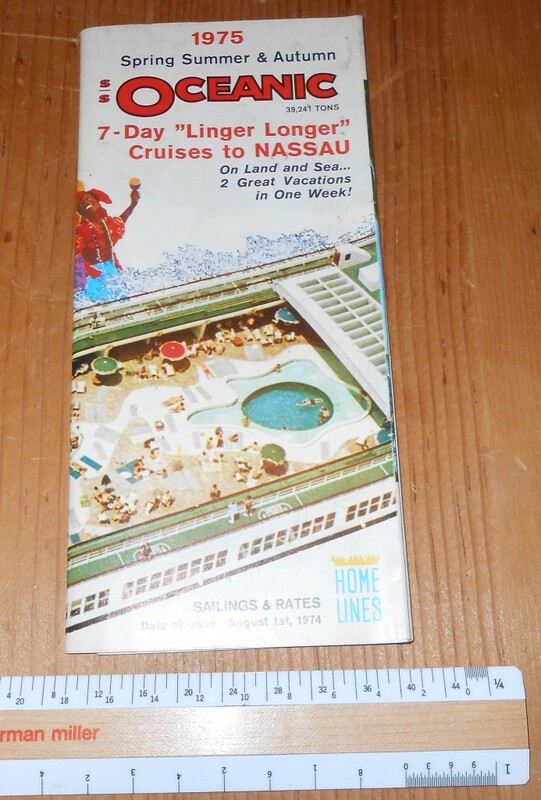 This lovely heavy tissue line deckplan was printed in the USA sometime after 1960. 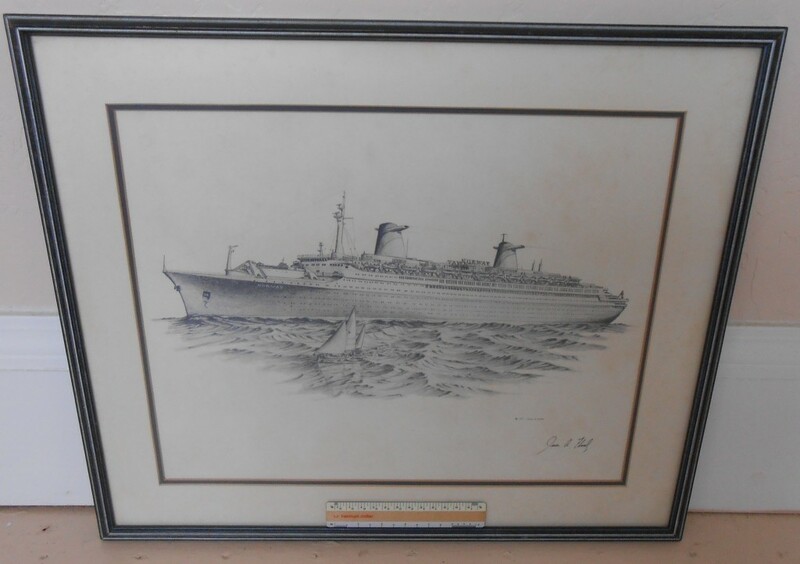 Excellent condition … lovely rendering of the ship on the back cover. 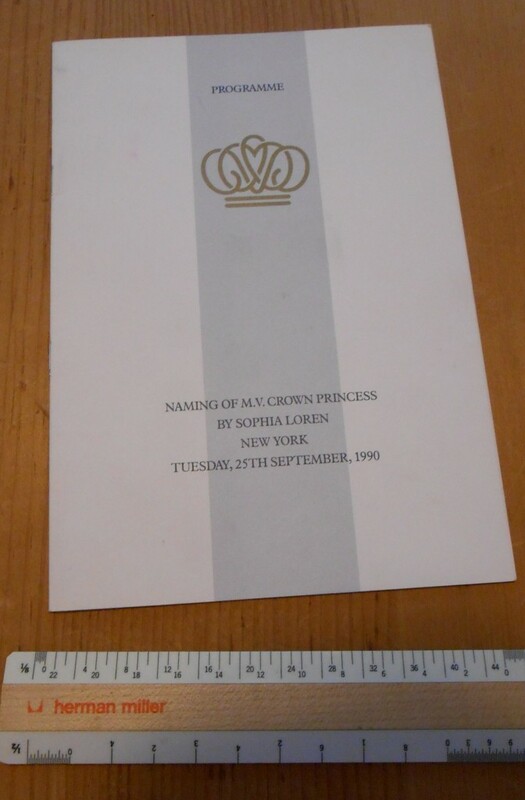 Lovely programme put together for the naming of the new ship by Sophia Loren In NYC September 25th, 1990. These is a nice tipped in photo of Sophia crossing the gangplank to the platform docked by the ship. The program outlines the ceremony, the following celebrations as well as lists the “VIP” guests, A lovely item in great condition. 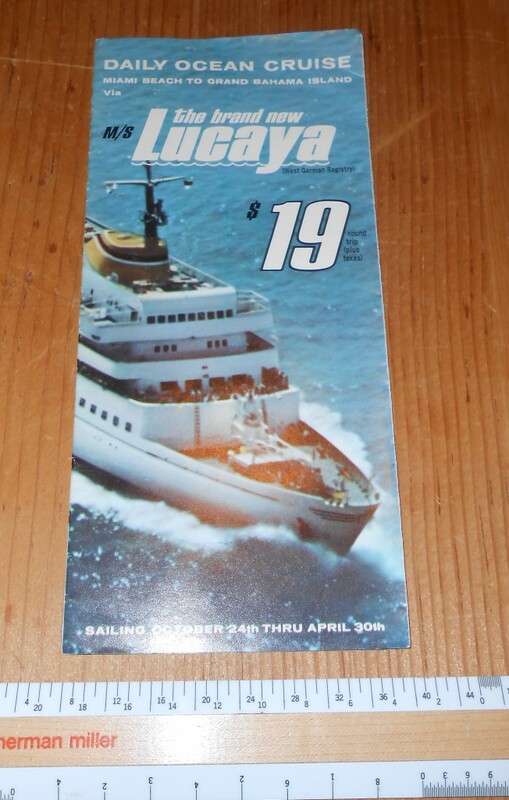 Nice little folder fold out for the MS Lucaya sailing from Miami to the Bahamas daily. The 4.5 hour round trip was only $19! Great item with a couple of scuffs and corner dents. 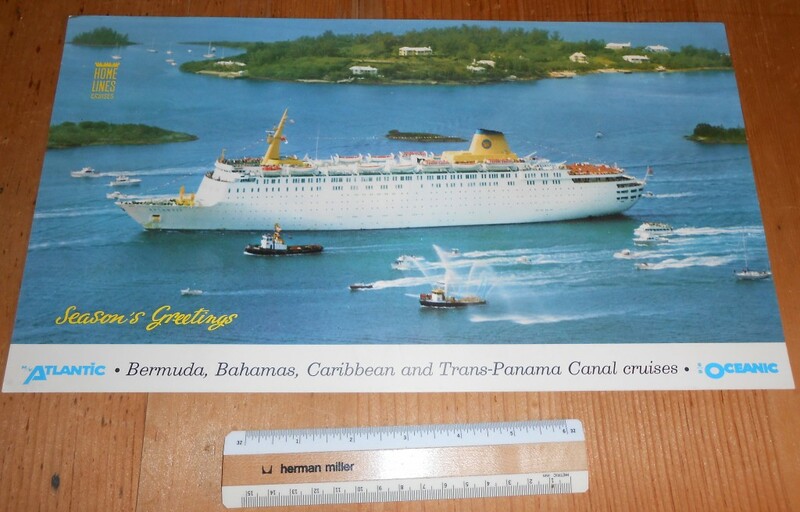 Home Lines: SS Oceanic 1975 “Linger Longer” cruise deckplan folder. Home Lines did such marvelous deckplans in the 70’s .. and certainly this one does not disappoint! 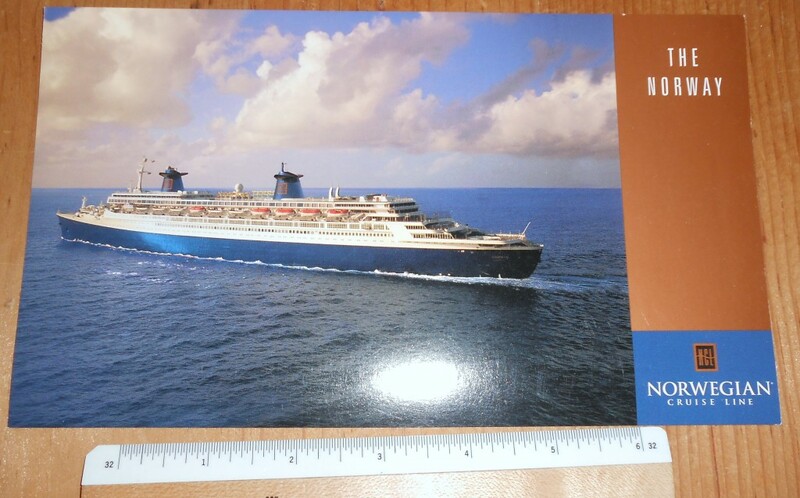 It is almost completely dedicated to the ship with colorful pictures and color coded plans on 8 double sided pages .. the center spread covers cabins and rates. 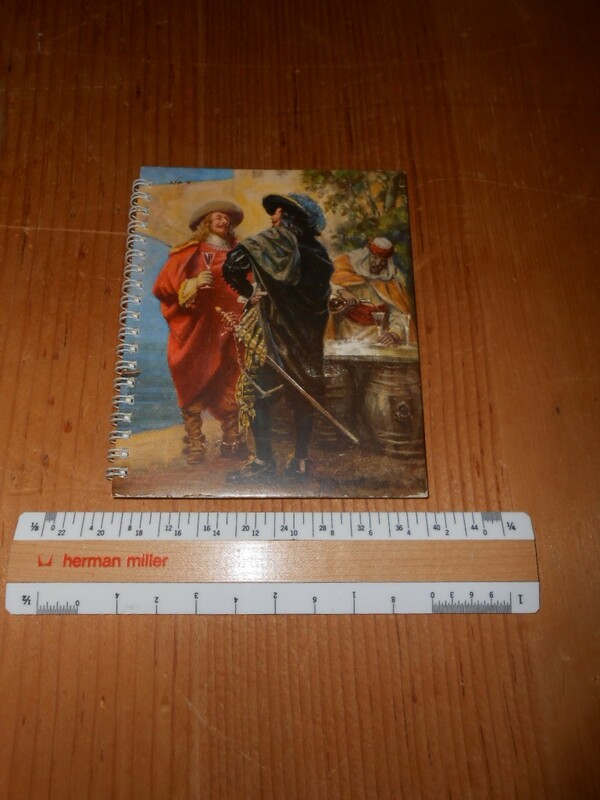 A few scribbles and scuffs … but otherwise in great shape! The plan was issued 8/1/1974. 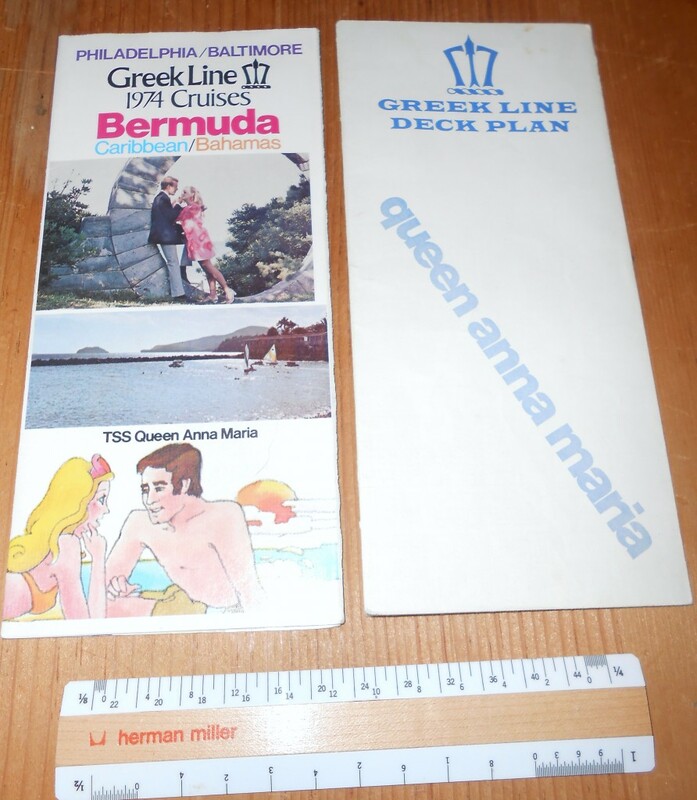 2 great items for the QAM: the first is a leaflet for the 1974 Bermuda cruises out of Baltimore and Philadelphia. This includes info on the Happy ship herself, room rates and onboard pictures (the guy in the black socks and shorts is a looker for sure). 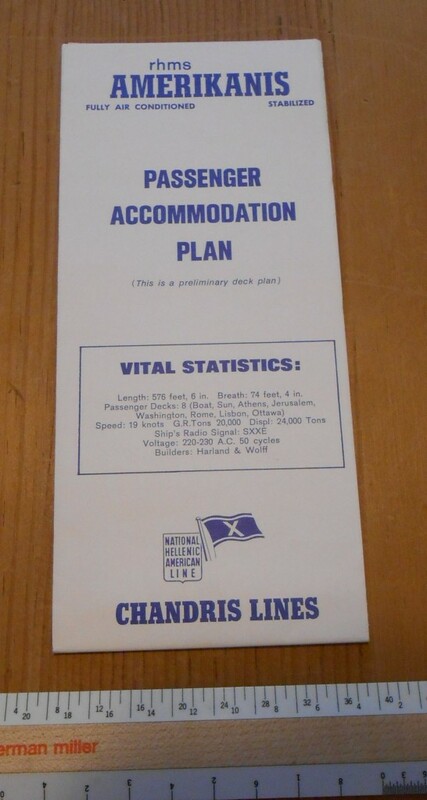 The deckplan is a little yellowed and the prior owner added several notes on various cabin rates. 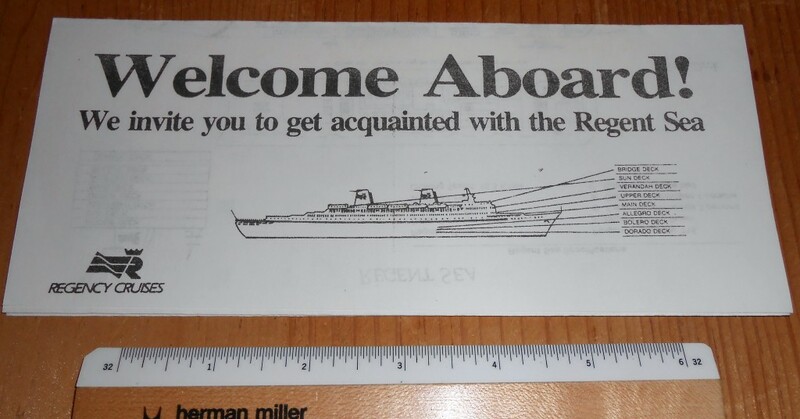 The thrifty Regency folks had this printed on board for passengers to find their way around the ship. They would have been placed in your cabin info packet. The ship now rests on the ocean bottom. Who doesn’t like baggage tickets? This one is in perfect shape and belongs in your collection! A nice paper item that was removed from her when she was laid up in Tampa. 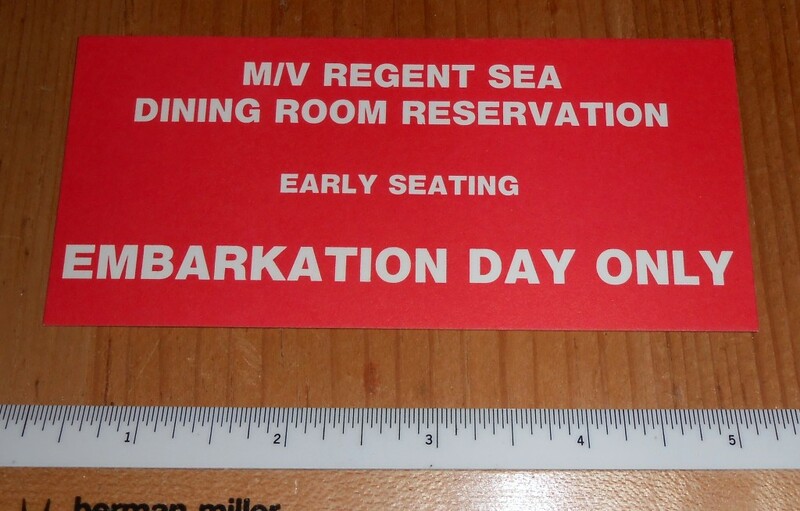 Perfect condition ticket for early dining on embarkation day. I sure wish I would have cruised on her before the end. She now rests on the bottom of the ocean. 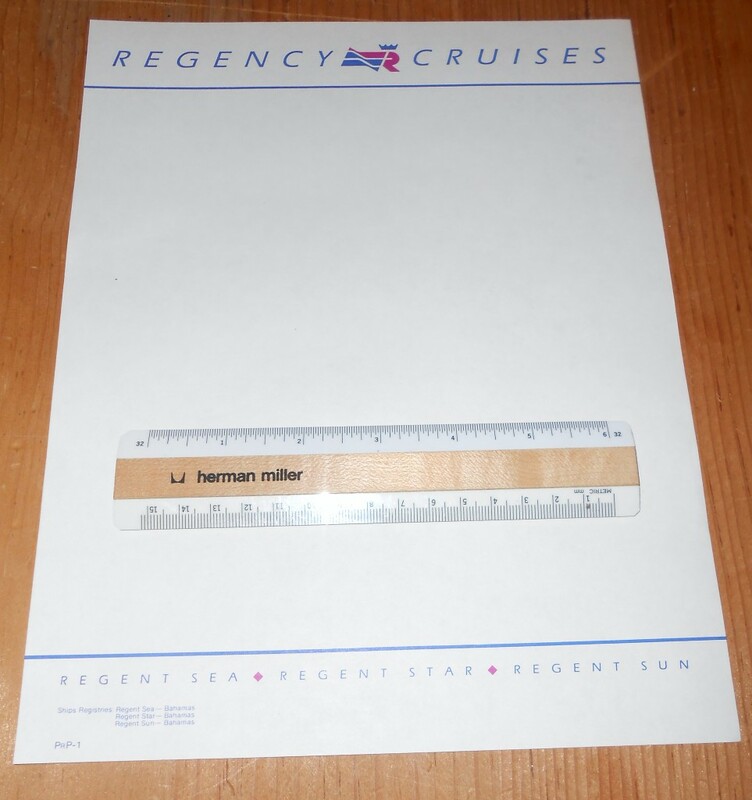 Lovely perfect sheet from the Regent Sea … but printed with all 3 ship names. The Regent Sea was my favorite of the three being the former Gripsholm. My good buddy got a stack of these sheets while she was in Tampa … she sank on the way to the breakers. 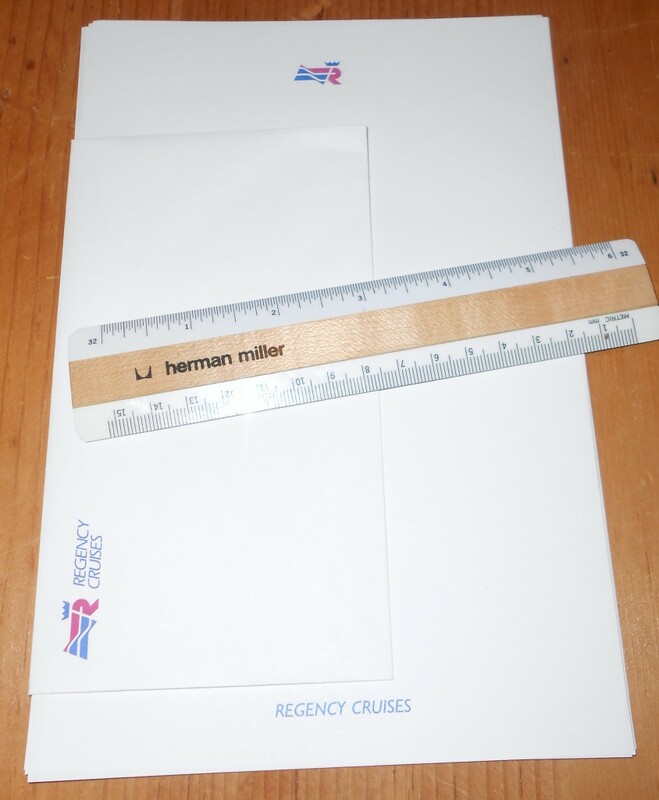 Great items for the Regent Sea …5 sheets of cabin stationery and an envelope. ALL in excellent shape … snail mail your ship friends! The romance of written notes is becoming a lost art. Pristine! 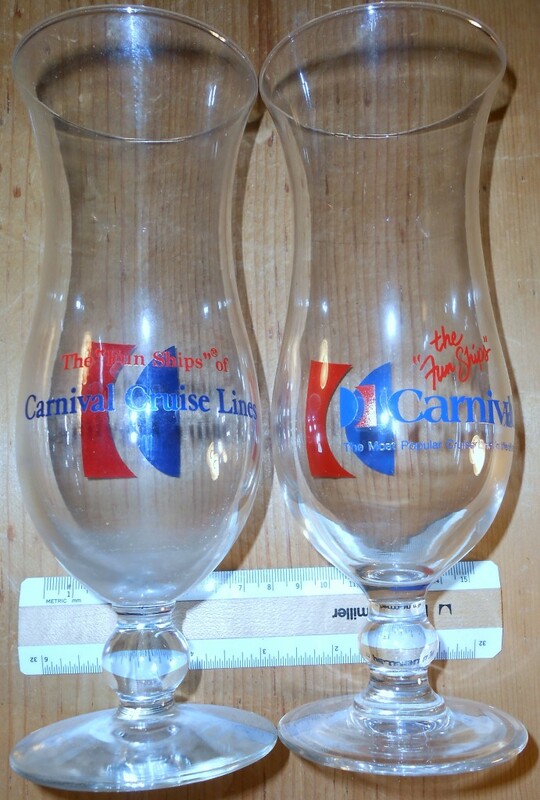 Carnival Curises: 2 daquiri glasses. Ready for your tropical drinks! These are in excellent shape and remind us of a time when glass was considered quality, unlike today’s recycled plastic times. Note these have different base styles! 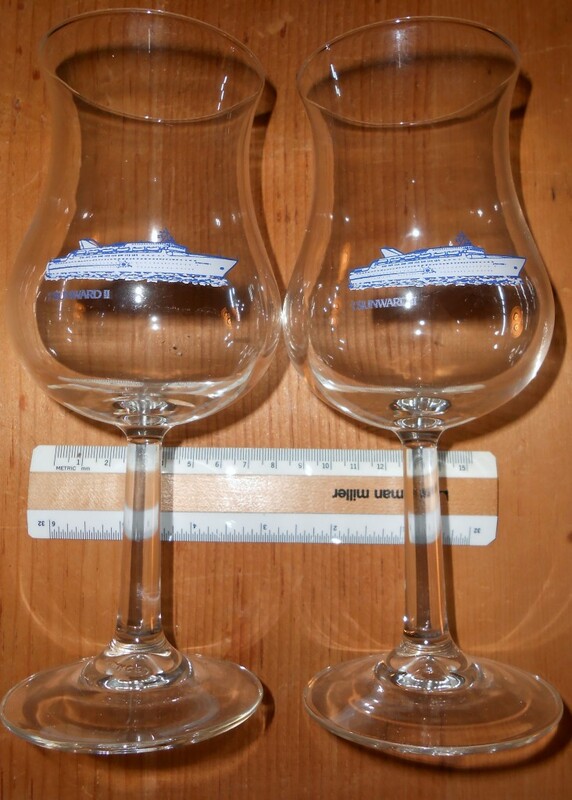 Nice twin set of Sunward 2 goblets. 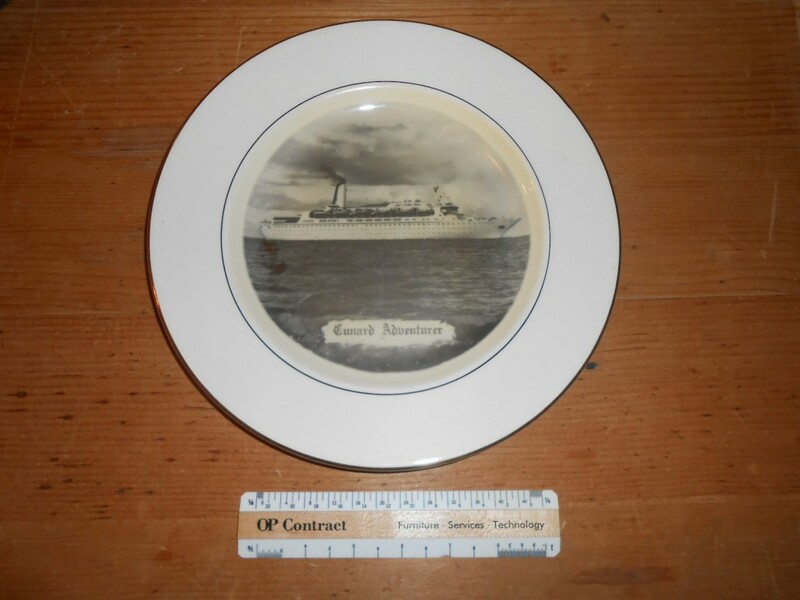 They are in great shape .. and harken back to a time when cruise line actually spent just a little $ and used real glass .. instead of today’s ultra cheapo recycled plastic items. Large PC for the Norway in excellent condition from 1998 .. she only had a little service time left on the open seas before a boiler explosion sent her to Alang (via a long layup in Bremerhaven). God love her … she was the flagship and namesake for 2 nations! Excellent counter card for the Oceanic and Atlantic … showing the Atlanic being escorted by smaller watercraft. The Atlantic was the second to the last ship built for Home lines and joined the Oceanic in 1982. There were both eventually sold to Premier to become sister “starships”. This came from the amazing Braynard collection that covered all aspects of the maritime world. 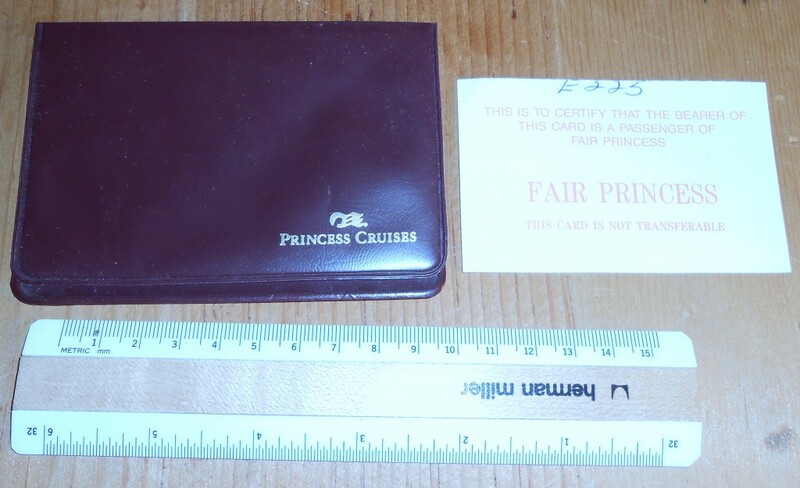 Cute little vintage vinyl ID wallet from the Fair Princess. Flash your Captain Stubing, Julie McCoy or Bartender Issac mug shot at folks .. and off you go! 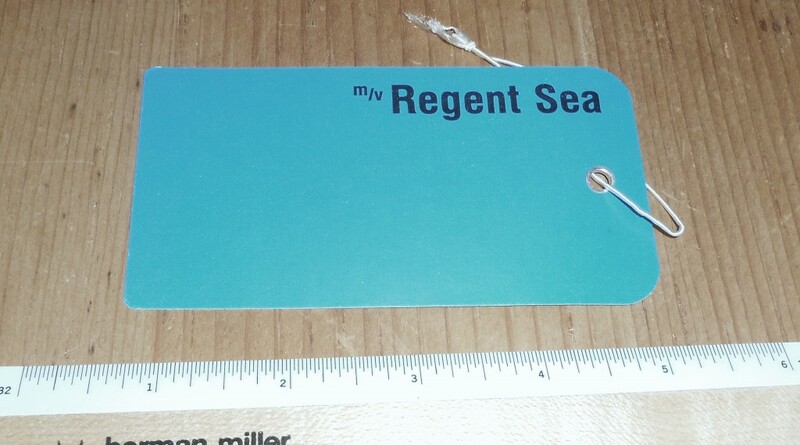 Regency Cruises: Knife from the Regent Sea. 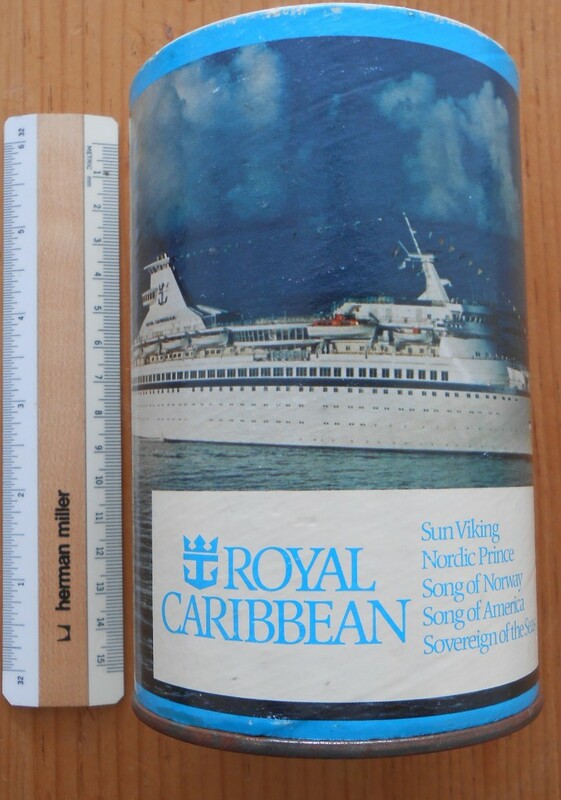 I know this came from the Regent Sea (ex Gripsholm), cause a buddy of mine tucked it in his pocket when he was onboard her in Tampa. Stainless steel … certainly not the silver service that would have been onboard during the Gripsholm days. Thanks goodness folks removed items while she was laid up in Tampa … She sank on the way to the breakers. Nice modern cruising souvenir puzzle for the RCL. This is in “never opened” condition and shows one of the glorious white-hulled cruisers. Cute little item for Royal Caribbean. Meant as a gift …has an area to be addressed and stamped .. and dropped in the mail! Colorful folded multi-page brochure for the Britanis. This does include nice colored deckplans. 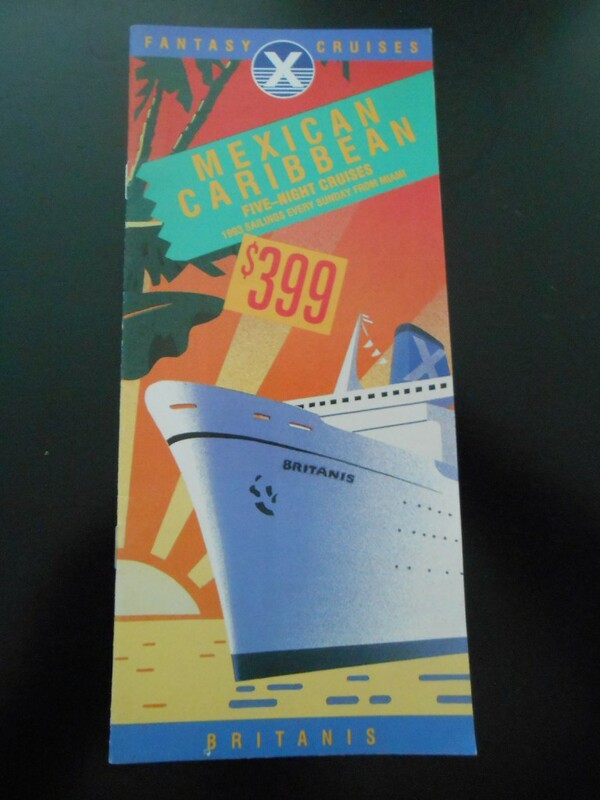 This was from her 1993 Mexican Caribbean season. 5 nights, $399. She started life as a Maston liner … but after a long life with Chandris, she sailed white hulled and rusty from Tampa on her way to the scrappers. 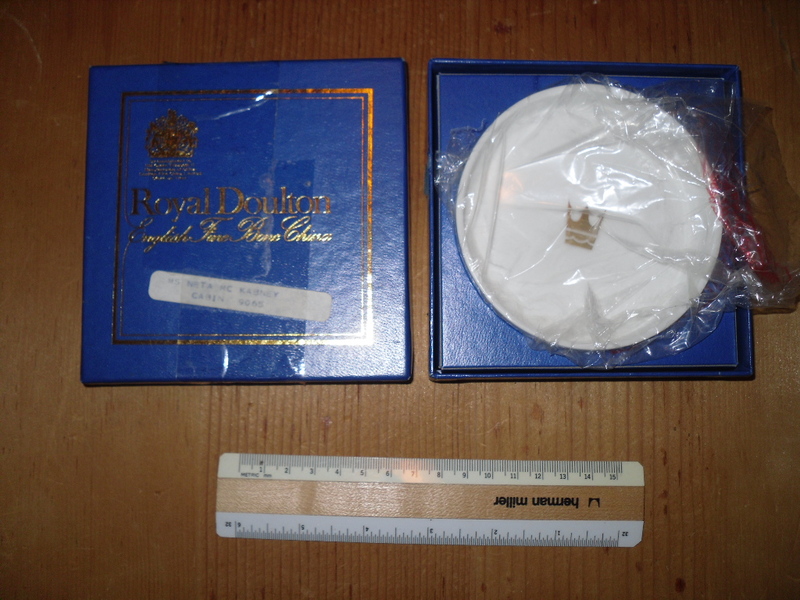 Another fine pin dish from Royal Cruise Line. This one is still in it’s original box and wrapper! This was a gift for Ms Neta Kabney who stayed in cabin 9065. Excellent condition!